Wedding holds a lot of importance, especially for brides. It is the day they look up to since their childhood. Having a perfect wedding is all about a beautiful décor, some close family members and friends to celebrate with and the day is going smoothly. However, planning a successful wedding décor can take a toll at times. Choosing the right set of decoration requires hours and hours of planning. But, whenever you plan a wedding, the main idea revolves around flowers. Flowers can take the wedding décor to the next level just by their performance. White dahlia flower is one such flower which can enhance the wedding décor in a major way. 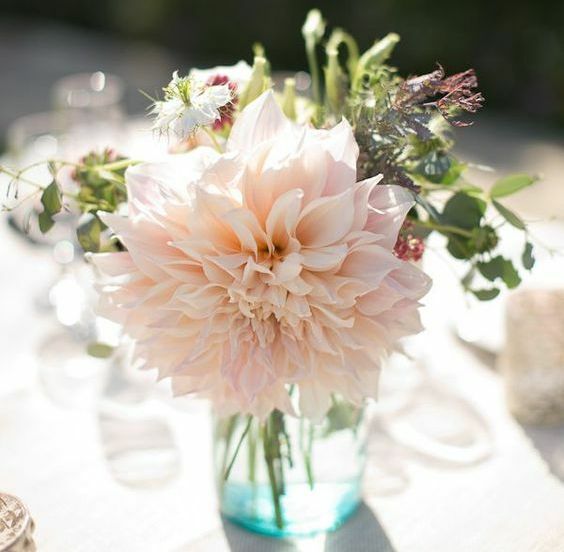 The beautiful dahlia flower can be used in multiple ways in wedding décor. They are available in a variety of colors and can be paired up with a lot of flowers. Let us see the ways in which couples or wedding planners can use these beautiful wholesale dahlias in wedding décor. The flowers will surely make your dream day better and livelier. Dahlia flower is available in around 42 different species which differ in size and colors. These flowers are even grown as hybrids with a lot of different garden plants that are available easily. These flowers that are native of Mexico have been used in weddings for a long time. Having a perfect wedding around dahlias is all about getting that right combination and place to use the flower at. The beautifully soft and structured ruffled petals of the flowers are sure to make any wedding décor beautiful. These beautiful flowers come in a wide range of colors. The flower has an extensive color palette which can go with every wedding décor idea. You can pair up beautiful red or burgundy dahlias with white dahlia flowers and celebrate a beautiful and elegant wedding. These feminine colors of the flower such as shades of red and lemon are loved by many. If you are planning a summer wedding, there is no better decoration than pairing soft pastel pink with white dahlia flowers. For a winter wedding, you can use darker shades of the flower to bring out that glow and elegance that you want. Dahlias are available in multiple color choices. However, buying them for your wedding décor can be expensive. Therefore, we suggest you buy these stunning dahlias for sale and keep your wedding décor under the budget. You can check out our variety of dahlias and have a worry-free wedding planning. As we have already seen, dahlias have a wide range of color choices to offer. These beautiful flowers are even available in different shapes and sizes which makes it easier to use wholesale dahlias at various places at a wedding. 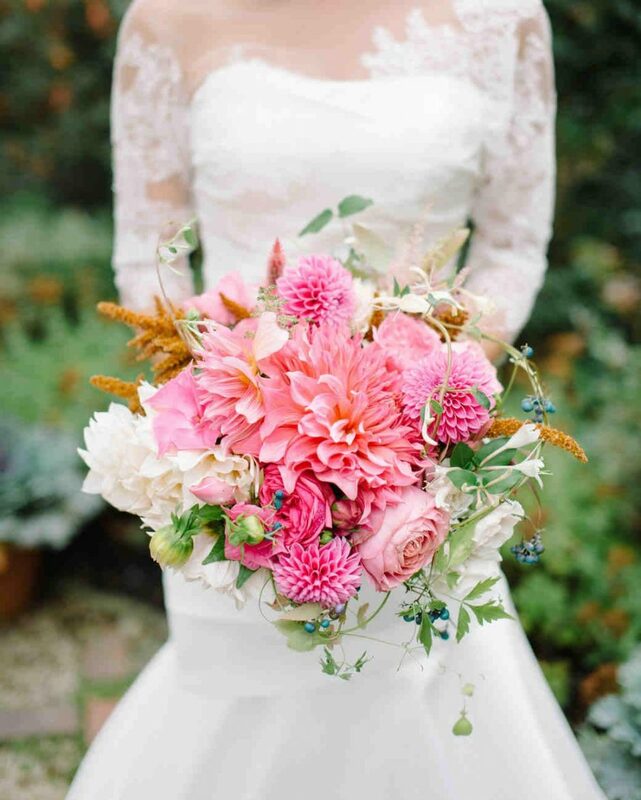 The not so well known, cactus dahlia will surely be a hit at any wedding. Their beautiful flowers have pointed petals just like mums do. Just pairing them with a variety of dahlias in different colors can enhance the look of any wedding table. Another such combination is by using double dahlias. 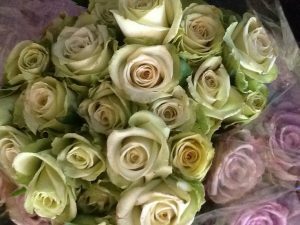 These flowers are loved by a lot of couples out there due to their wavy appearance and large blooms. Just keep a simple wedding décor with various colors of double dahlias and your wedding décor will be complete in no time at all. Dahlias flower gives us a lot of options to use them at a wedding. These flowers can be used in centerpieces or even along with wall-hangings. Dahlia is one flower that will surely not disappoint any wedding guest or the bride and groom. You can even make beautiful bouquets out of white dahlia flower. The flower is just about class and elegance that speaks throughout. One such variety of dahlia that we felt needed to be discussed in details is the pompom. It is even called ball dahlia due to the shape of its bloom. Ball dahlia or pom pom, the flower is a complete marvel. The shape and size of the flower can fit with any and every wedding décor. 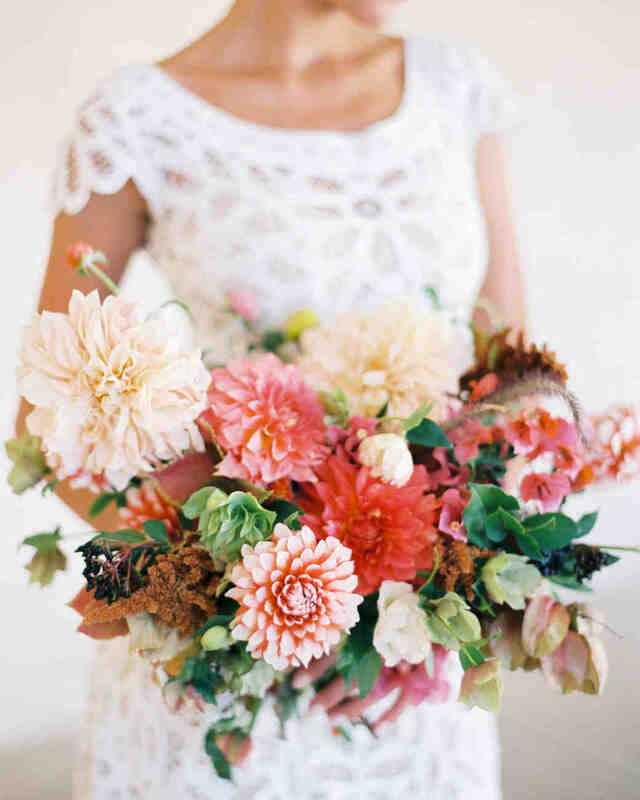 Buy these pom pom dahlias for sale, and you can make a beautiful bouquet out of it. Pair them up with a few peonies and use a variety of dahlias and see how the guests admire the bouquets that the bridesmaid hold. Where Can You Get Wholesale Dahlias? 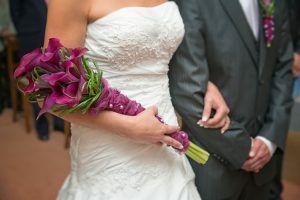 We, at Whole Blossoms, make sure your wedding goes as smoothly and effortlessly as possible. If you are in need of wholesale dahlias for your wedding décor, check out our variety of dahlias. We have a wide range of dahlia flower available in all shapes and colors. Our dahlias for sale are freshly cut and delivered right at your doorstep. So, whatever floral requirements you have for your wedding décor, check out our beautiful fresh flowers. Choose Whole Blossoms as we make your dream day better than you had ever thought about.